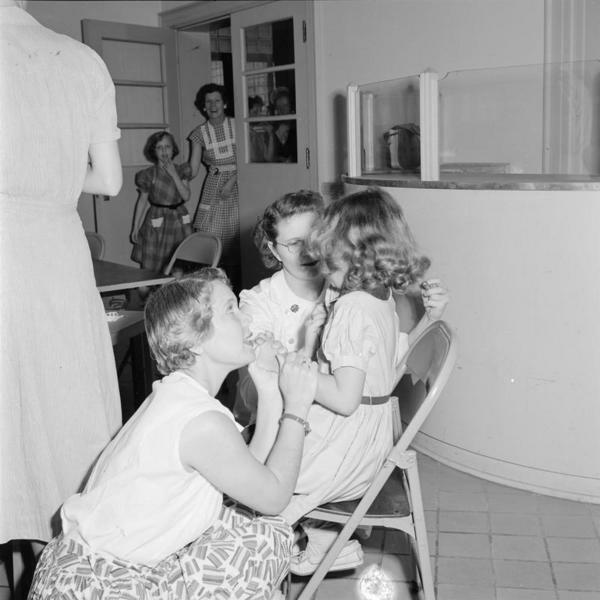 Description: A second-grade girl receives a poliomyelitis vaccination during the 1954 field trial in Laurel (Miss.). According to a January 19, 1954, article in the Jackson (Miss.) Clarion-Ledger, Jones County was one of ten Mississippi counties selected by the National Foundation of Infantile Paralysis to participate in the nationwide trial. The vaccination was licensed April 12, 1955, due to the positive results of the trial.